This is a wonderful Circus Elephant Silhouette!! He is part of a fab Circus Set, you may recall the coordinating Giraffe HERE. This talented Elephant is balancing on a small box, such a classic looking graphic. I’ve created some Vector Image Downloads as well, including an AI file, an EPS file and there is even a PNG with the background removed! They are all included in one Zip File. You can grab them HERE. Fun for your Silhouette Machine Projects, or perhaps you could make some Invitations for a Kid’s Birthday Party! I hope you like him!! 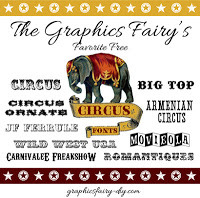 Also check out the adorable Circus Fonts that Emily picked out for us this month! You are going to love them!! You can find them HERE ! 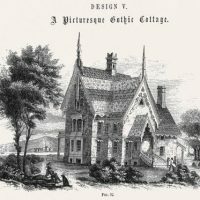 Public Domain Electricity Image – Ben Franklin Free Clip Art – Hooked on Victorian Architecture Wild Rose Sketch Image! The elephant is adorable. This would be so cute framed along with the giraffe. I could see this in a nursery or by the back door where kids hang their backpacks. So many options! Thanks Karen – this is a stunner.